An updated version of the classic handbook, Discussions that Work, which develops oral fluency in meaningful and motivating ways. Discussions and More is an invaluable resource for teachers who want to provide a varied range of successful speaking activities. 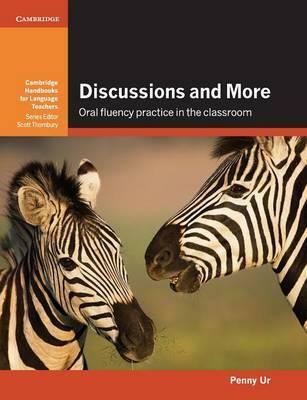 This edition takes into account the changes in approaches to ELT over the last thirty years, containing updated versions of old favourites from Discussions that Work, but also a much greater range of oral fluency activities, from game-like activities to debates and presentations. The book includes many new activities for younger learners and lower-level learners, making it suitable for a wide range of teaching contexts. Activities are meaningful and motivating, require minimal preparation and result in high interaction.